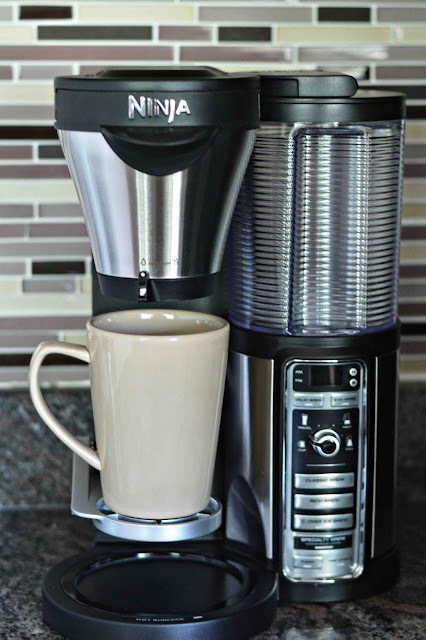 Theresa's Mixed Nuts: Ninja Coffee Bar Delivers A Perfect Brew! *Disclosure- I received the mentioned product courtesy of the sponsor for the purpose of this review. All opinions are genuine, based on my experience with the product, and have not been influenced by promotional items. This post contains affiliate links. Please see my policy tab for more information. Are you someone who just can't get their day going without a delicious cup of coffee? My husband is definitely one of those people! Every morning he's in the kitchen brewing coffee, then he has to make the decision if he wants it black or wants the addition of sweetened creamers. Decisions, decisions! Part of the fun of having coffee is having those options to change it up each day. If you are like Jason, you are going to LOVE the new Ninja Coffee Bar™! Aside from the coffee bar looking sleek and modern, what we were amazed by is its Thermal Flavor Extraction™ technology which uses automated controls for Temperature Calibration, Pre-Infusion, and Even Coffee Saturation which unlocks your coffee's full flavor potential with every brew! 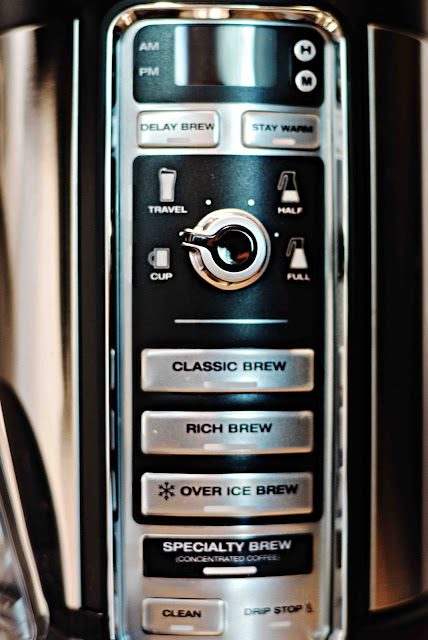 The Auto-iQ™ One Touch Intelligence lets you select the size of your cup (standard, travel, half pot, full pot), your brew type (classic, rich, over ice, specialty), and then the Ninja Coffee Bar­­™ automatically adjusts for the correct amount of water use. The box also contained a booklet with 40 scrumptious coffeehouse-style recipes. 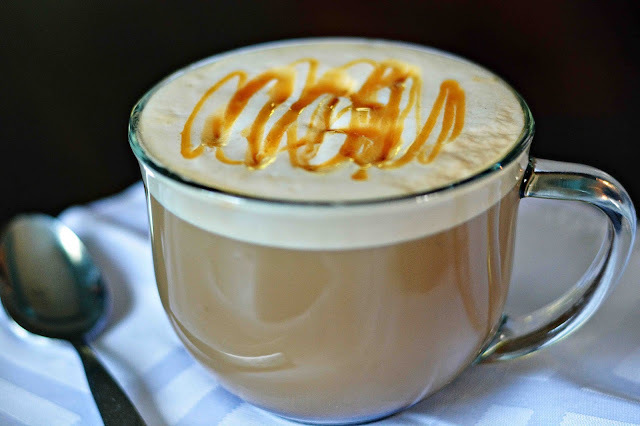 I made the Caramel Macchiato recipe for Mariah, and it was love at first sip! I then brewed Jason his regular black brew. He was so impressed with the way it turned out, he kept asking if I did anything different than I do with our normal coffee maker because he loved how delicious it brewed. He was immediately sold! I admit, I am not a hot coffee drinker. However, give me any iced coffee any day of the week and I'm a happy camper! I'm embarrassed to think about how much I've spent at the local coffee shops, or even on those refrigerated bottles of coffee I buy from the grocers. I decided to try my hand at making my own iced coffee using the cold brew feature, and OMG! It was AMAZING! Never will I buy another iced coffee from the shops again! Melt chocolate in double-broiler over low heat until smooth. Pour melted chocolate and caramel sauce into coffee; stir until incorporated. Add 1/2 and 1/2 and sugar; stir until incorporated. Top with whipped cream. Garnish with chocolate shavings if desired. Serve immediately. If my family's seal of approval doesn't work for you, maybe Emmy-nominated Sofia Vergara's will! An avid coffee lover, Sophia Vergara has partnered with SharkNinja in promotion of the new Ninja Coffee Bar­­™! 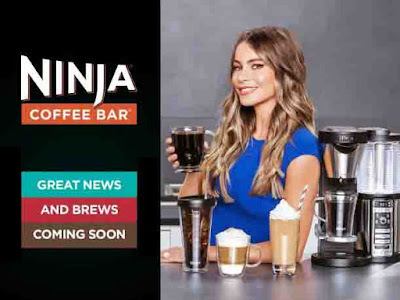 The new Ninja Coffee Bar™ will be available nationwide at major retailers and directly through SharkNinja starting this September. If you would like to learn more about the new Ninja Coffee Bar™ or any of Ninja's other amazing kitchen products, be use to visit their website. Additionally, stay up to date on new products and promotions by following Ninja on Facebook, Twitter and Pinterest. How would you use the new Ninja Coffee Bar™? Would you brew hot or cold first? I'm sure would Rosey! I know how you do love that coffee! I don't do hot, but think an iced coffee is a nice treat every now and again. looks so gorgeous! I can imagine the happy smile on Jason's face when you got it for him :) And it even makes ice coffee? And Vergara is promoting it? And that lovely cup you made with caramel looks scrumptious too! He definitely loved it. The coffee tasted soooo much better than his normal brew. He thinks the technology helped take the bitterness out of the flavor. And, of course, since Vergara loves it, he would too. You know that's his imaginary girlfriend lol! Okay - has Alex seen this?? Wow! GASP! I need one of these in my life. I am a HUGE coffee addict! The Ninja coffee machines are so cool. My son in law would go nuts over this. Oh my! That's way cool compared to my 15 year old coffee pot. I like warm coffee over ice coffee, but I like them both. Really it's just whatever mood I'm in. These are so nice. I'd love for the boyfriend to have a perfect pot of coffee ready each morning. That iced coffee looks amazing. Wow Liz, the caring you're displaying for your boyfriend is heartwarming. If he doesn't marry you I will! :-) He's going to love this coffee machine! I just got mine and I couldn't be happier. I would have fun with this one. I love that fancy drink! wow I like the name of the name already ;) it really has a lot of nifty ninja tricks and functions!! I love me some coffee and this is perfect for my lifestyle! This looks great. This is so cool. I love that you can brew directly to your cup. I want one of these. That looks like a cool coffee maker. I haven't seen it around here yet, but I'd love to own one. Written like a true ninja! Cheers. What a great looking machine, very sleek and modern. I also love the brew over ice feature and the frother. 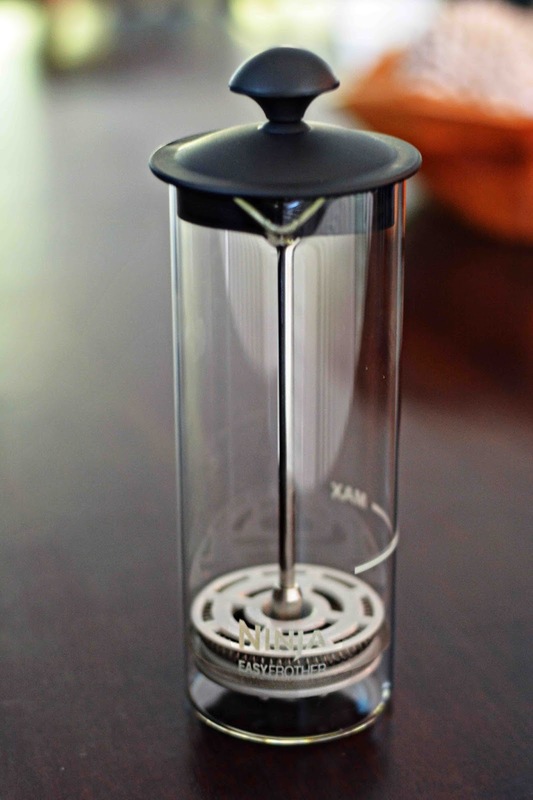 I absolutely love the slim design of this coffee maker. And it has so many cool features. Ninja products are awesome. We have a blender and it's the best one I have ever had. This looks like an awesome brewer. Thanks for sharing these yummy recipes, can't wait to try them out. Wow, I just had a vision of waking up in the morning to this baby on my kitchen counter. Oh I would be a happy girl! Ninja makes a very durable product also, love it! My hubs and daughter would like this. The one we have,a different brand ... Is sounding like an airplane taking off. Oh wow, this looks pretty amazing!! I think my parents would be in heaven with this lol. 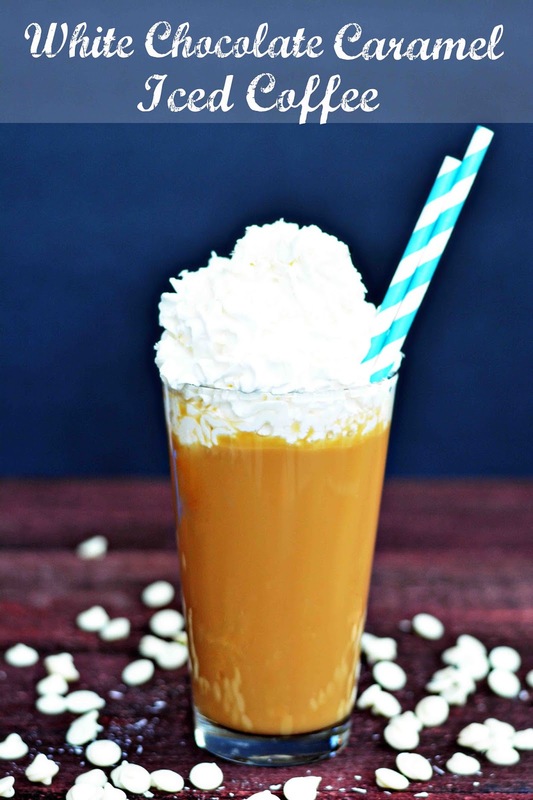 That iced coffee looks DELISH! Hi emflaca. I don't think my husband had had that issue with brewing a regular cup. You should be able to turn the dial to the cup setting, then hit classic brew. Is it filling up your cup too much where you can't add in the milk once it's brewed because it will overflow? If so, you may want to change cup sizes or I'd do the Drip Stop like you mentioned. 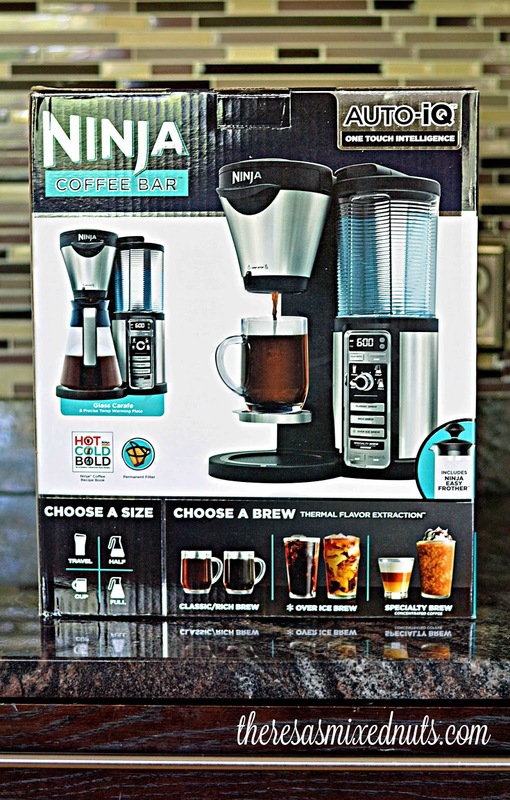 I am a huge ninja fan so it was natural for me to jump on this coffee maker.. 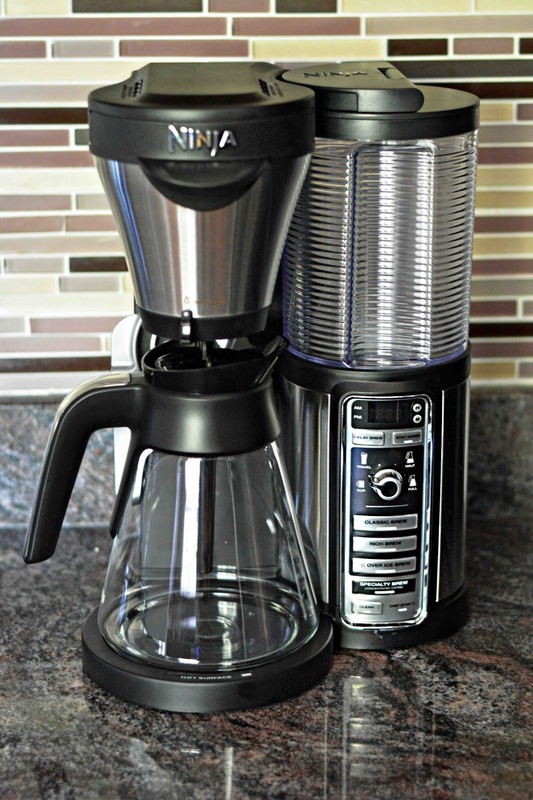 I love coffee and have gone through quite a few coffee makers at home. One thing I really like about the Ninja Coffee Bar is that in the morning I can brew the coffee directly into my travel mug, grab it and run out the door. I loved coffee from long and regularly used too. After read that post I found some valuable information about brewing coffee. Thanks for share it.